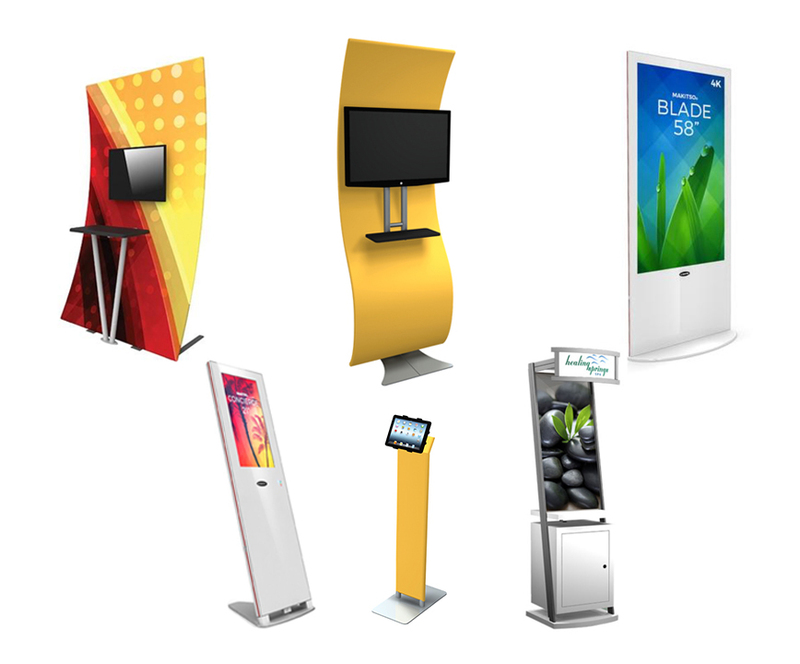 For flexibility and interactivity, try a multimedia kiosk! It brings all the benefits of applied technology to your brand messaging. 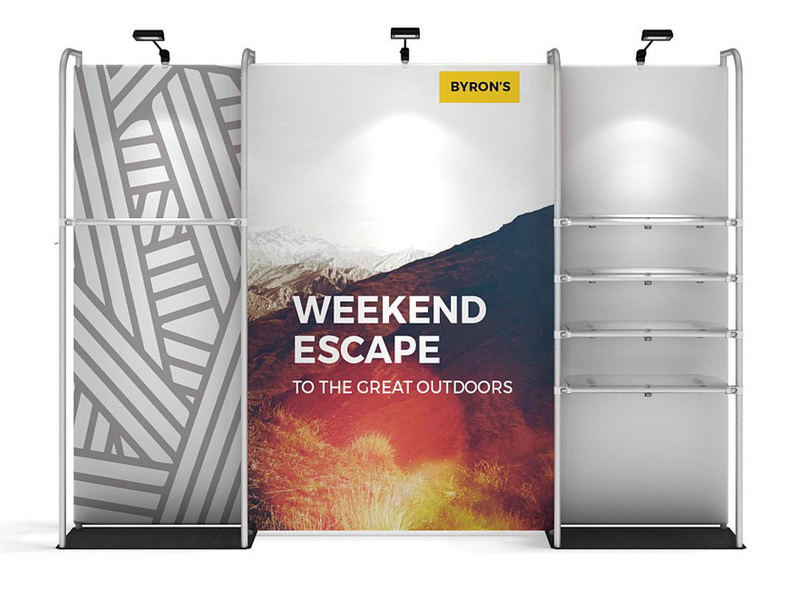 Kiosks and multimedia displays can transfer from trade show floor to office space seamlessly, connecting as part of your main display or as a stand-alone sales force you can fit in one portable case. 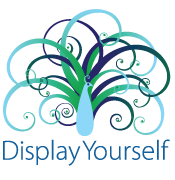 Contact Dimension Display to learn about our diverse range of kiosks and multimedia options! Phone 204.943.7551 or Email Us. 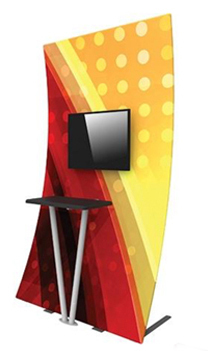 Create an instant Retail Pop-Up Store with the Makitso WaveLine® Merchandiser. Modular in design, you can create multiple configurations and add-on shelves, garment bars, monitors, lights and more…. Lightweight aluminum poles with bungee cord snap together to create the base framework, then slide on the pillowcase-like graphic over the frame and zip it closed at the bottom. Watch out the video below to see just how easy the Makitso WaveLine® Merchandiser transforms any space into a store in minutes! Contact Dimension Display for more info on the Makitso Merchandiser, and other tension display products: Phone 204.943.7551 or Email Us.